This week, we are talking about two examples of feminism on TV, one successful, one not (guess which). Buffy joins the Initiative and we meet our Big Bad, while Angel finds himself in the middle of a gender war from another dimension. Also, are the Initiative disruptors? This week, we say "NO" to a Buffy reboot (unless it's Fray) and chat "A New Man" and "Expecting"! There's a lot of demon stuff this week, as Giles gets turned into one by mortal enemy Ethan, and Cordelia faces the prospect of giving birth to seven little ones. There are also some themes about growing apart and growing up and finding your family, blah blah. It's just good character work. This week, Buffy is at her melodramatic worst, and we are over it. As for the Hellmouth Apocalypse, whatever, the Zeppo did it better. On Angel, Kate is back, which is annoying, but hey! Jeremy Renner is here to work out his daddy issues with his sire! So much 2000s era hair gel and facial hair to enjoy! Is “Hush” a perfect episode of TV? Does that even exist? That’s right, It’s the “Hush” episode! 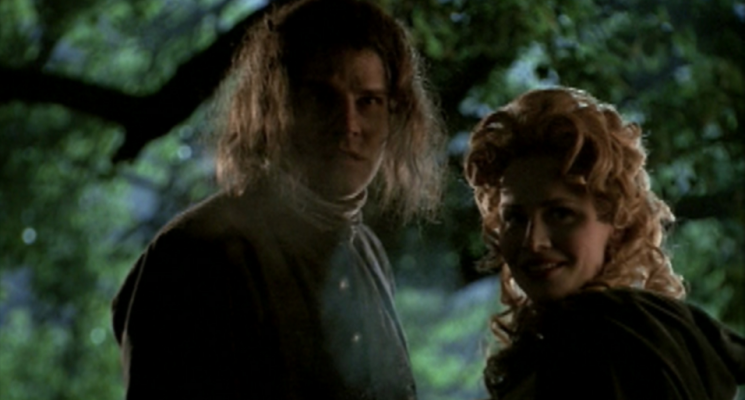 Also, we watch an episode of Angel, but first the Gentlemen are here to cut our hearts out and clap politely. Buffy and Riley learn they have a lot in common, and the Scoobies learn to stop talking and take some action already. On Angel, Wesley is the best thing to ever happen, and we could watch the gang eat breakfast all day. This week, Claire’s back! We talk “Something Blue”, “Hero”, and Spike’s favorite show, Passions! On Buffy, Spike and Buffy succumb to Willow’s wicca will and find themselves betrothed (“Wind Beneath My Wings”, yay or nay?). On Angel, we say goodbye to Doyle, and mostly we’re just relieved. You won't get the visions if you don't use tongue! This week, we try to have a thoughtful, respectful conversation about Pangs and we apologize if we failed. Then, on Angel, our hearts get broken by what might have been.